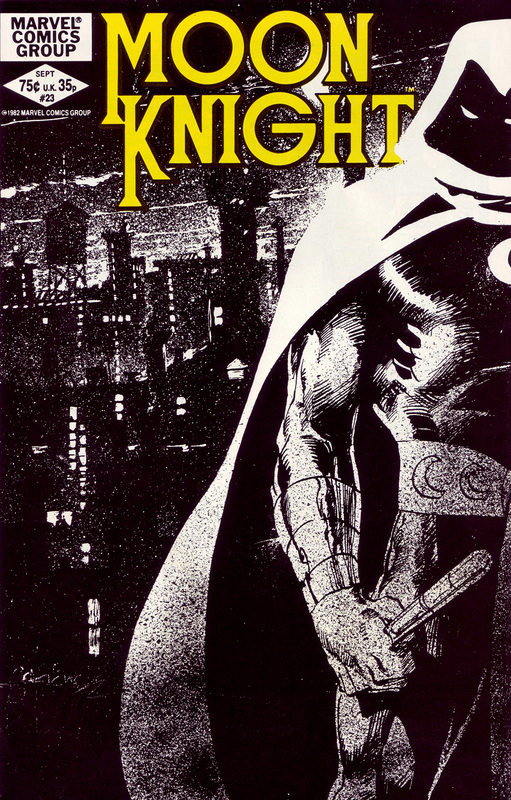 Number #74 is Bill Sienkiewicz doing Moon Knight in stark black and white. An amazing amount of detail here especially in the background cityscape. Check back here tomorrow night for another great scan in the count-down of my Top 100 favorite comic book covers. That’s a great cover. Very atmospheric and moody. Sienkewicz brought those same qualities to the inside, too, making Moon Knight one of the more visually impressive titles of the time.